Some 50 minutes before tipoff, Paul George walked onto the floor at the Moda Center on Sunday with black tape canvasing both shoulders and picked up two basketballs. As is his pregame routine, standing on the baseline, he pounded both balls into the floor, shifting them between hands. He moved up, dribbling up to the 3-point line and back, and then flipped one to the side. He turned, looking at the basket, and took a 15-footer. But he certainly wasn’t himself. 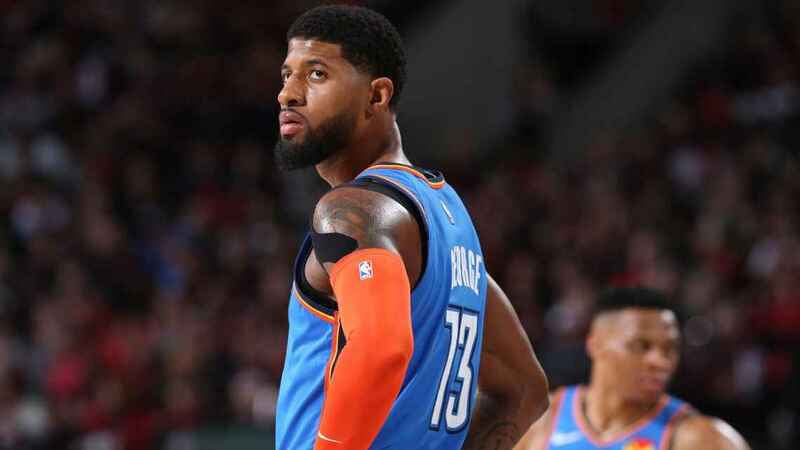 After averaging 38 points a game and hitting 45.9 percent from 3 on nearly 10 attempts against the Portland Trail Blazers during the regular season, George scored 26, including just 4 of 15 from 3, in the Oklahoma City Thunder’s 104-99 loss in Game 1. That’s the thing: George had great looks. Really, the Thunder did at large. According to Second Spectrum data, the Thunder had better quality shots by both quantified shot quality (51.8 to 49.1) and quantified shot probability (51.6 to 51.5) than Portland. But as a team, the Thunder hit an abysmal 5 of 33 from 3, with George’s off night punctuating it. Dennis Schroder, after hitting a career-high eight 3s against the Bucks in the Thunder’s final regular-season game (OKC hit a franchise-best 23), went 0-for-7. Westbrook went 0-for-4, Jerami Grant 0-for-3. Next Next post: Time to cut bait on struggling fantasy baseball players?